The Financial Accounting Standards Board (FASB) has issued six new Accounting Standards Updates so far this month. 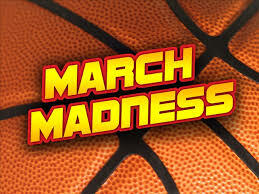 Although perhaps not reaching the level of March Madness, the folks at the Financial Accounting Standards Board (FASB) have issued six new Accounting Standards Updates (ASUs) so far this month. The ASUs cover a variety of topics of interest to CPA’s, CFO’s and others, including a clarification of the principal vs. agent provisions of its new revenue recognition standard, three ASUs reflecting FASB’s endorsement of consensuses of the Emerging Issues Task Force, an ASU simplifying adoption of Private Company Council – led standards by private companies, and an ASU simplifying transition to the equity method of accounting. The six new ASU’s issued so far this month, listed further below, follow FASB’s release of one of the ‘big kahuna’ standards – the new standard on leasing – at the end of last month. The MACPA has scheduled a new event, Implementing FASB’s New Leases Standard: Examples and Practical Approaches, taking place on April 27, offering 4.0 CPE, which you can attend in-person or via webcast. Find more programs on the events calendar, and check out the MACPA’s upcoming Town Halls / Professional Issues Updates. Led by MACPA CEO Tom Hood, the Town Halls are free to members and offer 4.0 CPE. There will also be a ‘not so typical accounting update – everything you did, and did not, want to know,’ by Jennifer Elder at the MACPA’s 2016 Business and Industry Conference on May 13. The amendments in this Update make the guidance in Updates 2014-02, 2014-03, 2014-07, and 2014-18 effective immediately by removing their effective dates. The amendments also include transition provisions that provide that private companies are able to forgo a preferability assessment the first time they elect the accounting alternatives within the scope of this Update. Any subsequent change to an accounting policy election requires justification that the change is preferable under Topic 250, Accounting Changes and Error Corrections. 2 The amendments in this Update also extend the transition guidance in Updates 2014-02, 2014-03, 2014-07, and 2014-18 indefinitely. While this Update extends transition guidance for Updates 2014-07 and 2014-18, there is no intention to change how transition is applied for those two Updates. In other actions this month, the FASB announced that the SEC has accepted the 2016 GAAP Financial Reporting Taxonomy for eXtensible Business Reporting Language (XBRL) tags used in SEC and other regulatory filings.